MFGR LLC, a consortium made up of CRG Acquisition, Gordon Brothers Group, Rabin Worldwide and PPL Group, announced that they have purchased the Expera Mill in Old Town, Maine. The company made the strategic decision to wind down operations late last year as it faced what it described as unsustainable business conditions. The joint venture will begin marketing the assets for immediate sale over the coming weeks. 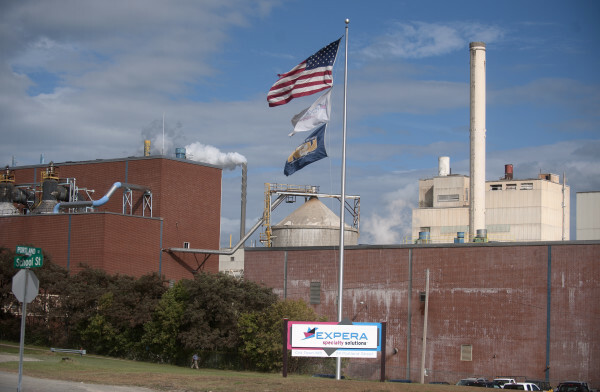 “We have had numerous inquiries since the former Expera Plant has been under contract with our group, including aqua culturists, transportation hubs, pulp manufacturing and developers,” Bill Firestone, President of CRG, stated. “Given our group’s experience in this market, as well as the desirability of many of these assets, we see a large potential to make these unproductive assets productive again, particularly in view of the Bio Production/Green Chemical Research being conducted on the site by the University of Maine. We look forward to working closely with Municipal and State agencies in order to achieve our mutual goals,” he added. The assets include 400,000 square feet of warehouse buildings, a waste water treatment plant, a 16 MW bio mass boiler and approximately 300 acres of land with roughly another 4,000 feet of frontage on the Penobscot River. and investment firm specializing in the retail, consumer products, industrial and real estate sectors.